There tends to be a lot of fuss made about Mother’s Day, but what about celebrating Father’s Day? Dads deserve just as much appreciation! (though he will probably claim he doesn’t want a fuss made). Because we want to celebrate all the fathers out there, we’re giving away an English Ales hamper to one lucky winner. Enter our Father’s Day competition for a chance to win for your Dad and show him just how special he is to you. Enter via the widget below and leave a comment on this blog post telling us what your favourite thing about your Dad is. Have this hamper delivered to your Dad and you just might be his favourite child! It’s packed with all the essentials for a happy Dad. Treat him to classic English ales, luxury shortbread, spiced peanuts and much more. It’s all nestled into a gift wrapped wicker basket and comes with an optional personalised message. The other entry options listed are not mandatory but will gain you extra entries into the giveaway! The competition will close at 3pm on Friday 8th June 2018. One winner will be selected and contacted via the email address they provided. Entrants can be from anywhere in the world, but the prize can only be delivered to a UK residents address. It’s fir my son he raises one son single handed and as half the week access to the other two children , he s mum and dad to them .youv heard of “superwoman” well my son is “Superdad”.He s there all the time . There11, 8 and 5 years old …This would be great if I won this for him..
My father’s no longer with me but I’d love to win this for my other half who makes a great dad. I love how he tries to hide smiling at anything even slightly rude (a mild double entendre for example!) when Mum’s around. He’d love the hamper as he’s a fan of traditional ales and he’d also enjoy the nibbles, especially the oakcakes and shortbread. He’s always been there for me and as I’m getting older I’ve realised I’m becoming him in many ways. Hamper looks amazing, thanks for the chance to win such a great prize. I love that my dad adores his grandchildren and he would do anything for them. he’s so handy to have around. v good at DIY tasks and fixing the car! Not close enough to my dad to comment but my favourite thing about my stepdad that he is always willing to help us out as much as he can whenever we need him. My Dad is the best for his crazy sense of humour! he’s an oracle. anything i need to know, he’ll know it. My Dad took me to a Play-Off Final in 1999. He would love to have this hamper as he would like to get a present. My favourite thing about my dad is his fun active life style – he retired a few years ago and spends his time staying in his holiday home in West Wales – kayaking, sailing, walking, cycling, stunt kiting, fishing and exploring! I have lots of favourite things about my dad, but probably his sense of humour the most. My Dad would love this as he is just about to be able to drink again after 6 months in hospital – he’s been dreaming of his first drink! His sense of humour is my favourite thing about him! He’d love this as loved trying new things! This would be for the dad of my children actually as my dad doesn’t drink. My dad is amazing because he just never gives up and follows his dreams! He’d love the hamper because he’s a complete foodie. He always makes me laugh! Love the hamper. Bishops Finger – lush! I’d love to win this for my hubby who is a wonderful Dad to our children and grandchildren. My favourite thing about my Dad is the way he is always there to help me when I need it. He would love to win this hamper as it has lots of his favourite things in it and he loves getting little treats. My Dad got a great sense of humour, although it does get a bit tiring hearing some of the same old Dad Jokes! 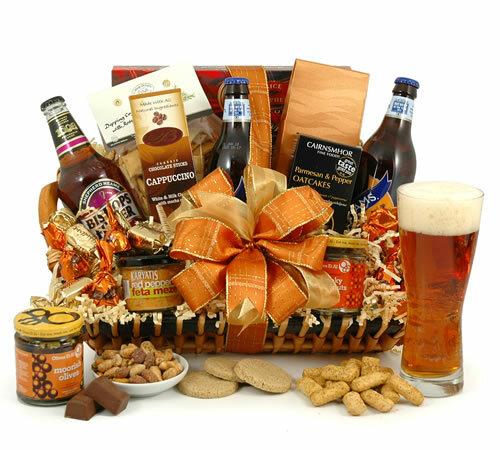 He’d love this hamper as he enjoys trying different beers & enjoys a snack while he samples them. My dad is totally selfless. He will do anything for my brother and me even if it means missing out on things for himself. My dad is a great listener, understanding and has a great sense of humour and family commitments. sadly lost my dad last year, but he would never say no he was always there for us all. My boys would love to give this to their dad though! My Dad is dead, but my bf is a great Dad because he cares so much and he’s hilarious. I would love my husband to win because his a great dad who deserves a treat, and he would be over the moon to win this prize. He’s so funny, we have the same sense of humour. He would love this, especially the ales. How he always makes me feel safe. He likes ale so he would be happy to receive this. Hia bility to make me laugh so easily, even when I may be feeling a little down. I never grew up with a dad, but my hubby is the best dad and grandad in the world! Sadly / unfortunately my Dad died of a sudden heart attack when my siblings and myself were children. We like to Celebrate Fathers Day now that we have Dads within the extended family. As keen to acknowledge Dads positive contributions, etc to family life. A Dad’s role is valuable, and deserves acknowledgement and appreciation. Would be lovely if we won hamper, as could celebrate as a family, and welcome recent new addition. Which will impact on Fatherhood role. New family dynamics. This would be for my kids awesome step dad. He’s kind and caring and has taken on 5 children with no hesitation. My dad is no longer with us, but he was always very surprising, in that you never knew what was going to happen next. My dad’s favourite thing from the hamper would be the olives. One of the best things about my dad is the encouragement he gives me, my husband and the kids in every thing we do. Hes truly amazing. He thinks he’s hilarious and is a big softie. He would love this hamper as it has his fav things, yummy snacks and beer. My Dad is my best mate. He loves football, darts and beer the same things as m so we regularly go out together. He’s great at fixing things! Always full of sage advice. He’d love the caramel pralines because Mum usually keeps the sweet stuff away from him! He does like a beer and he deserves it because he usually shares it with me. I love my Dad’s sense of humour. He deserves this because he works so hard for everyone else. I love his wise words 🙂 he would love this as a treat as he has great taste! my dad gives the appearance of being really grumpy and fed up yet he is funny and kind and always there for all if us daughters – even though we’ve all moved away from him. its got shortbread and peanuts in it – whats not for him to love! My dad is in his 70s now and he’s still very helpful with us despite us being in our 40s and he’s very special to us. Sadly, I lost my dad recently so, I’d love to enter for my lovely husband, the most wonderful daddy in the whole world ♥️. He works soooo hard to support us and , no matter how tired he is, he always has a smile and huggs for our little ones . How wonderful would it be for my hubby to get completely spoiled with h these AMAZING goodies (that he’d LOVE) on his special day?!! He’s the best listener I’ve ever met. Always able to make sense of things, no matter how confused and lost I feel, or how muddled life seems! Dad loved nothing better than sitting after a day working on his farm, having a drink and putting us, his children and the world to right , miss him everyday. He is always so helpful and kind without wanting anything in return. He loves English ales. He is so funny and witty – everyone loves him! He works hard & loves fishing. This prize would help him wind down on an evening. Father’s Day is a great occasion to thoroughly spoil my wonderful husband who has brought our son up in a loving and kind way. They share a lovely bond together going for long walks, cooking and camping and i would love to treat him to this lovely hamper. My dad is so giving and will help anyone, he’s been known to save peoples lives multiple times. He’ll stop his car to help someone in need, give what he doesn’t have to help and always make a new friend. The smiles and laughter I get from my children. My dad passed away 8 years ago, so can’t win for him. My 18 year old son’s dad hasn’t been in his life since he was 2 years old. My son’s birthday is normally the same time as father’s day and it makes it harder for him. I would love to win for my son to show him that he is amazing just the way he is, and it’s his dad’s loss!! My dad died some years ago sadly so I am entering for my husband who is a wonderful father who has a wonderful sense of humour and endless patience! Forgot to say he would love the hamper because he loves English ales and the nibbles would add to his enjoyment. I would like this for my generous kind husband who is a fantastic dad to our 2 boys. My Dad’s genorosity, not only with money, but also his time, advice, love, sympathy and much much more for his kids, grandkids and now great-grandchild is inspirational. He would love this hamper as it contains some old favourites and some new nibbles – something he is always thrilled to try. My dad is really funny and makes us laugh all the time. He loves trying real ales especially with wierd names like pigs snout or Badgers bottom! He always puts the kids and me first and he loves real ale! I’ve lost my own dad, but my dad-in-law is wonderful! He welcomed me into the family, and teases me just like my own dad used to. Love him to bits. some lovely treats there i know my dad with love, a great prize for Fathers day! Being a father is a special thing and my husband is a great father and grandfather. My own father, sadly, is no longer with us. My dad has a really random and unique sense of humour! He loves ales so he’d love this. I love that my dad can solve any problem, however big! He loves his ales so would enjoy this! my dads always there for me whenever I need him, he always lifts me up when I’m down and is the most dependable and caring person I know. Is always there for me. Fan of beer too! My dad is a bit daft, in a good way, and he likes a drink and snacks so a hamper like this would be a wonderful surprise. There would be stiff competition for the contents of this hamper in our family! My dad has a great sense of humour and would enjoy this in his newly-done garden! Oh wow. This would be my Granddad’s heaven! He is the only adult i know that is less mature than myself. I’m pretty sure he would love absolutely everything in that hamper. Nothing ever phases him, and he’s generous to a fault. Has to be his sense of humour for sure he is such a funny guy and this hamper is great i know he would love so many products in it. My dad is so helpful and does a lot of the DIY around my house for me so this would be a lovely treat for him to say thank you for all his help! My dad would move mountains for me, so this is the least he deserves! The best thing about my Dad is that he’s reliable, and always there when I need advice. He is generous, caring and can fix anything, I f he can’t fix it it can’t be fixed! My dad’s sense of humour is wicked! He might not say much but when he does it’s usually something funny or sarcastic. He also loves trying new things so I’m sure he’d enjoy himself by eating and drinking through the English Ales Hamper! The way that he has always been there for me. I think that he would truly enjoy this hamper, and would undoubtedly share with my Mum. My father lives in a country far away and is a little afraid of flying. Hopefully this hamper would be enough to entice him to pay a visit, he has a sweet tooth so the chocolates and shortbread would go down well. I love how my dad always sees the bright side of things, he would love this hamper full of treats! Our dad genuinely cares for everyone family or not. He’s a gentle giant who loves his food and drink so this win would be his perfect present. Dads – can’t do without them! My father died days before my 20th birthday, I would give this to my son to give to his father. My favourite thing about my dad is he is there for me and is very appreciative of most things we give him, I’d love to gift him this. I love my Dad as he is so funny and always knows how to make me and my Mum laugh hysterically. The perfect box of delights for my OH who is hard working. kind and always loyal to his family! My Dad have a wonderful sense of humour, and he is fantastic with my children they love his company. He deserves the hamper because he’s awesome! He’s like a superhero, there to rescue me in every situation be it physically or mentally! He would love a hamper of treats to try, especially the beers. Always fun and supportive and would really appreciate this. My Dad is a perfect gentleman, a man of few words, the biggest heart and always there for me. Lots of lovely treats in this hamper that he would really enjoy. I love how hard working he is. My favourite thing about my father is that he was an environmentalist long before the word became common use and I learned a great deal from him as I grew up. My favourite thing about my dad is how caring he is 🙂 he would love to win this hamper as he loves beer and food!! I lost my Dad last year aged 90, he was a font of knowledge and my best friend. Only flowers this year for Dad but I could raise a glass to him with this prize. My favourite thing about my Dad he has a wicked sense of humour! My Dad would love to win this hamper because it contains a lot of his favourite treats, especially the classic English ales! great prize, I know someone who would love this! Since my Mum died my Dad has triedhis best to step into both roles bless him. Hes been there for me no matter what and would be absolutely thrilled to receive this Hamper. My favourite thing about my Dad is that he is caring! He would love this hamper to try all these different ales! My favourite thing about my dad is that he is Mr Sociable and will talk to anyone, wherever he is. No one is immune to his charm! My dad, is one in a million, doesnt matter what i have done wrong in my life, he has always been there for me, backed me up and supported me. The most honest man I know, if you want the truth even though it hurts he’s the man! My dad has always been there, and very thoughtful too. The hamper has all those tasty things a dad would appreciate. From when my Dad was in the Royal Navy he saw the world and tasted all the cuisines. Since then he’s been game for anything and will try any activity and all foods, even those that the rest of us turn our noses up at. He really makes us laugh with his weird recipes all so that he doesn’t waste anything. Hi razor sharp wit, singing Ava Maria worthy of a Cathedral and the ability to mix well. He always gives me good advice and is usually right! He’s one of the last true gentleman who loves mum deeply along with his children and grandchildren.. He opens doors for ladies, never let mum carry anything and will do anything for everybody..
I’m very lucky to have such a wonderful dad who devotes his life to me and my little boy. He always takes care of us and I think it would be nice for him to enjoy this treat. My dad is so kind and is always there for me to help me out or offer great advice. He is currently recovering from knee replacement surgery and is feeling very sorry for himself. This hamper would definitely cheer him up and hopefully make him smile. My dad is great listener. 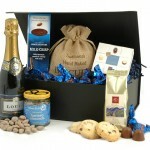 Will love to spoil him with this great hamper. That he’s always ready to come and rescue me, whenever I need help. He tells it like it is – whether you like it or not! Love him most for his honesty, so he deserves to win for that alone. Much appreciated. i love his sense of humour. He would love to win because he loves english ales! He taught me how to grow vegetables and flowers when I was a kid and I still use his advice. My dad is always there for me and mt family, always with words of wisdom 🙂 he loves a drop of ale and this would be a lovely treat to give back to him x. My Dad is always joking and he would love the hamper because he loves a snack!! My dad is kind, generous and funny, and let’s me use the caravan when I want. Beer is one of his favourite’s. He’s always there for me, no matter what! I’m pretty sure he’d like the hamper as there’s quite a few things he likes there. He is and always will be my best friend. He always has the right advice and he’s a real ale fan. My dad’s sadly no longer with us but it would perfect for my husband as a Fathers Day present from our kids. He’s a true foodie! We are so lucky to have him. He’s funny, kind, generous and always tries to make time for us no matter what else is going on. Without doubt, he’s the best person I know. My Dad passed away a few years ago, he wasn’t a big drinker but Bishops Finger was a particular favourite of his. We would give this hamper to my other half and remember both Grandads. My favorite thing about my Dad is at the drop of a hat if i need him his always their especially when i hammered a nail into a water pipe, dad comes to the rescue. My Dad is fantastic but his jokes are getting worse! My dad has a great sense of humour and is also my best friend. He deserves this as a treat as he has cut out having nice foods so far this year and has lost 4 stone! My Dad is generous and caring, though rather too fond of cameras and steam trains maybe. I think he would really enjoy tasting all those yummy looking snacks. DIY dad. He’s great at fixing things and mending things and working out solutions to the many DIY issues I have. He’s a very practical man. He is always there for me, is funny and has great music taste. He’d love this! My Dad is sadly no longer around but this would be a fab Father’s Day Gift for my partner who is a brilliant long suffering Dad to our two girls. He’s always put his family first no matter how hard times have been and I’ll always be grateful for that! My own father died in 1989. My favourite thing about him was his honesty – he didn’t do subtle, was never diplomatic, and could hurt with his words. But there was a sort of innocence about his honesty which i could admire, and at least you always knew where you were with him. My favourite thing about my Pa-in-law (who would be the very lucky and happy recipient should i win!) is that he is not my father. My father always loved to try something new. Although he’s no longer with us he would have loved the opportunity to try everything in this hamper. He believed there was no such thing as ‘I don’t like’ if you’ve never tried it..! Fun fact about my dad, he loves Jameson’s Whiskey so much he ended up getting a bottle of it tattooed on his arm. 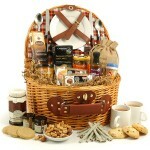 I would like to give him this hamper as I’ve never bothered with Father’s day! My Father would laugh himself silly if he had this hamper, more than likely raise a glass to all who entered! My husband is a great father, guiding, correcting and encouraging his adult children as needed. Consequently both my children, my daughter in law and my small granddaughter adore him. because he is so giving he rarely has time to do things for himself and as this contains all his favourite thigs it would be a wonderful reward, thanks. Best thing about my dad is that he has best sense of humour ever! He’d love this hamper because he loves to try new beers and foods and also he loves me and whatever I give him lol!! That he’s a joker but makes people laugh. I’m sure he’d love this, as it would be unexpected. Good luck, some touching comments. My Dad is respected by everyone who knows him, and loved by his family for his generosity and love. He would enjoy this hamper as he never buys himself treats. There are so many wonderful things about my Dad. I don’t want to turn this into a sob story but I have brought my daughter up as a single parent – and he has been the male figure in her life. He does all my DIY, helps me with shopping, driving etc…. and has just renovated my garden for me, as I haven’t been able to leave my house in years and he thought it may help, by being an incentive for me to go out there. He has worked so hard. He really is my hero (apart from his jokes). He always shares whatever he has, so he deserves a treat, just for himself. Taught me much about life and the universe and being an adult, father figures are very important! He is really funny, trustworthy and lovable. My dad has a great sense of humour, is very knowledgeable about DIY and is always there for me, whenever I need him. He really is my rock! I’d love to win this hamper for him. favourite thing is his selflessness, and he`d love to win as he enjoys tasty food! My dad has always looked after us when we were young and we never went without. He’s not in good health nowadays, but loves his ale and his tobacco. He is very wise and doesnt say a lot, and still has a good brain on him. I love him for his morals, he is old school as they say, and hes my dad. I could have gone down the “generic answer”, but kept it unique to my Dad instead. The fact that he will go anywhere, and any time of the day. Even if he gets lost 3/4 times he always arrives with a smile on his face. Favourite thing about my dad would have to be his dreadful sense of humour!! He makes terrible jokes and thinks he’s hilarious! Wouldn’t have him any other way though, as he can always make people laugh! I think he would like the shortbread and the Belgian chocolates the best! My dad is fun and entertaining when he is with any or all of his 12 young grandchildren so he deserves a few treats! Great giveaway, love this, thank you. My favourite thing about my dad is his laconic,dry sense of humour. My Dad is the most selfless man i know – with 8 children, he has certainly got use to it! Hes great! My dad has passed away so I’m nominating my wonderful husband who is a fantastic dad, step-dad, grandfather and step-grandfather. He’s funny, helpful, loving, caring and a real gentleman. I can’t see one thing in that fantastic hamper that he wouldn’t enjoy…and I know he’d share it! My Dad is one of a kind, an absolute gent and my best friend. I don’t know what I would do without him. He would love this, it contains all bits that he would love to get his hands on! My dad has a wicked sense of humour, he often has me doubled over laughing. He is a fantastic grandad to my two children too. My dad is humorous, helpful and wise and wants the best for his children. He is super proud of both me and my brother at what we have achieved in life and you can see that sparkle and twinkle in his eyes at how proud he is. He is there for me when I need him without hesitation and people love him! When I was a child he worked hard to take me and my brother on our first holiday as I asked if we could go on an airplane and he made my dream come true! He taught me skills i would need later in life such as painting & decorating, gardening and simple things like how to change batteries in a remote control. Everything he has taught me has been useful for me to live independently as an adult and I thank him so much for this. Big cheers to my fabulous dad! He always talks sense when I need help with a problem and I’m not sure what to do. He’d love a treat because Mum won’t buy them for him! The thing I love most about my Dad is that he always knows when I really need a hug and never complains about his illness. He’d love this because it would a real treat for him and he loves Ale! my dad is no longer on earth but my husband is a great dad to his two children and helps them at all times. Funny. Wonderful day. Best grandad. My dad is fab at helping me with the crossword! He would love this as he loves a beer or two! I’m entering for my little boy’s daddy! My favourite thing about him is he makes me and our son laugh! My Dad never stops supporting us – even when its’s against his own better judgement! Also he laughs like Muttley from Wacky Races! My Dads been through such a lot in these last few years. But even during some of his harder times, he’s always been there to support me through my own highs and lows. He would absolutely adore this prize! He would love it, he’s very selfless so deserves something nice like this! He always tries to get me to think positively and makes me laugh! My dad is really funny and entertaining – he would love his hamper because it’s got his favourite snacks and beer in it! My daddy sadly passed away far to soon but my girls dad is absolutely amazing with all three of our girls. They adore him and the fact that even after a 12 hour shift he’ll have a make over, I adore him for never making the girls feel like something is to much. My dad is gentle and sweet and kind and understanding. He’s very responsible and has a heart of gold. My favourite thing about him is his sense of humour. He always manages to make me laugh He would love to win this hamper because It’s packed with all the things he he loves such as the classic English ales, shortbread and peanuts. I love my dads sense of humour. Always there to cheer me up whenever I feel down. 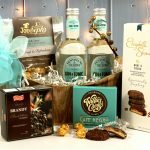 He would love this hamper as there are a few things he has never tried and he loves to try new things.